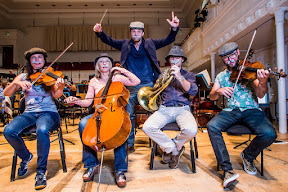 STILL Game producers got together with the world-renowned BBC Scottish Symphony Orchestra to make the new title music for the show. And they engaged the services of BAFTA award-winning TV & film composer Ben Foster. 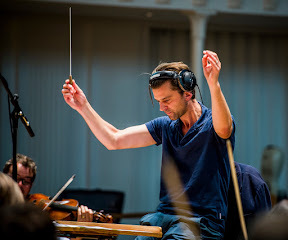 Recorded last week at the City Halls in Glasgow, home to the BBC SSO, Foster arranged and orchestrated the new titles, re-recording the Frank Chacksfield song ‘Cuban Boy’. 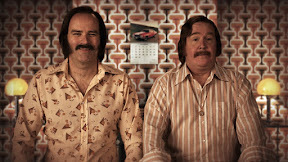 The track has long been associated with the Still Game series since its debut in 2002, originally using a version by The Cuban Boys. The new title music was conducted by BAFTA award-winning British composer, Ben Foster whose TV and film credits include Doctor Who Live, Torchwood, Prometheus and The Grey, amongst others. 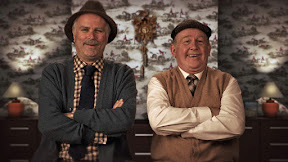 The iconic opening titles of Still Game which see evergreen pensioner pals Jack Jarvis and Victor McDade (Ford Kiernan and Greg Hemphill) age through the years, have also been reshot for the new much-anticipated seventh series. The new titles remain faithful to the original style seeing Jack and Victor through the ages from schoolboys, to teens and adults in the 60s, 70s, 80s to the present day. 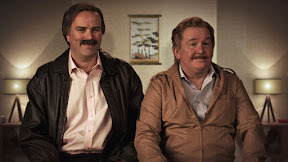 After a nine year hiatus, Still Game returns to BBC One on Friday October 7.
these two mens are really talented who made game title and music, it is an art to make music of the game and titles, I am all that much satisfied with the substance you have said. I needed to thank you for this extraordinary article.